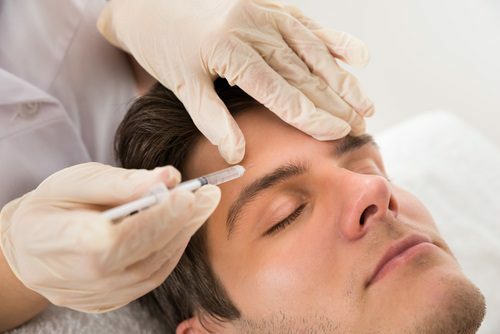 As the most popular cosmetic procedure in the U.S., it’s no surprise that Botox is also one of the most requested services among men in NYC. Botox Cosmetic treatments can not only prevent men from deepening lines during natural facial movements, but they can also erase the signs of aging, leaving them looking younger and refreshed. 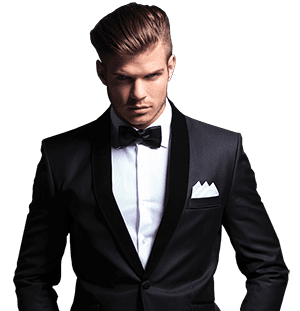 Although Botox is not a surgical procedure, it is very important to choose a highly experienced and qualified physician for Botox treatments for men in NYC. Doctors who are less familiar with the technique could leave you looking “frozen” or overfilled. Dr. Steinbrech has successfully treated hundreds of patients with Botox Cosmetic filler as a skilled physician with a highly sought after expertise. Dr. Steinbrech first consults with his patients considering Botox Cosmetic filler before beginning injections to understand what he wants to achieve as the desired results. Injections are done to correct the problem area(s) so that all of his patients are happy with their result of smoother, younger-looking faces. Restylanehas been used safely by dermatologists and plastic surgeons since 1996 worldwide. Restylane is designed to smooth wrinkles, sculpt lips and shape facial contours for male patients in NYC. The most common areas for treatment are the lines between the eyebrows and the folds from the root of the nose to the angle of the mouth. With its unique ability to bind with water, Restylane offers the benefit of longer lasting results by remaining in your skin for many months. Radiesse is a synthetic injectable filler that reduces wrinkles, creases and scars by augmenting the body’s natural collagen supply for male patients in NYC. Composed of microspheres in a biocompatible gel, Radiesse is made from the same minerals found in our bones, so it carries little risk of allergic reaction. Sculptra counteracts the loss of fat beneath the skin (a condition called lipoatrophy). Sculptra is injected into the deep dermis layer of the skin to improve the appearance of sunken cheeks, hollow eyes, indentations and wrinkles. Its main component is an alpha hydroxy acid that has been used for 20 years in surgical products such as dissolvable sutures. Results can last up to two years for male patients. Eyelid surgery, also known as blepharoplasty, improves the look of the upper and/or lower eyelids for a fresher, younger appearance. Dr. Steinbrech specializes in upper and lower eyelift surgery for men in NYC. Puffiness and/or drooping of the skin surrounding the eyes is a tell-tale sign of age for men. In some cases, the drooping or hooding of the eyelid can even begin to impair vision.